Stephanie Sy gets real about gender bias in technology and what companies should do about it. 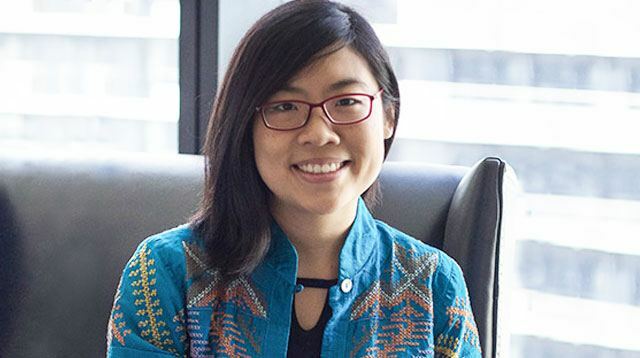 Having grown up in a business-oriented family, pursuing a career in technology wasn't as intimidating for Stephanie Sy as it might have been for others. The founder and CEO of Thinking Machines, a global data science consultancy, also spent some time working for startups in Silicon Valley. Thanks to Google Philippines' #WomenWill campaign, Cosmo.ph got to speak to Stephanie about what it’s like to be a woman in a male-dominated industry. Why did you decide to pursue a career in tech? How did people react? Because I went to school in the States, my path isn't that special, if you think about it. At Stanford, I was a part of a whole cohort who went into the tech industry. I really hope that, someday, that level of normalcy can be achieved in the Philippines. The truth is, for women in technology, it's easier to get started in the U.S., but harder to move up the ladder. In the Philippines, when you say, "I want to be in technology," people ask, "Ano 'yun?" But, actually, here, there are more women in managerial roles. Even though rejection is a fact of life in tech and entrepreneurship, when I get rejected here, I know it's not because I'm a woman. Sometimes the company really just isn't ready. What does gender discrimination look like to you? I've been lucky enough not to have experienced it firsthand, but a lot of my friends have. In a lot of Silicon Valley teams, most of the time, it's not explicit discrimination. It's sort of like an unconscious bias, which is even worse because you start doubting yourself. Because it isn't intentional, you think there's something wrong with you. Despite the bias, how can we encourage women to stay in tech? There seems to be a bit of a drop-off when women take on other things in life—like motherhood—that men don't have to worry about. Men can have babies when they're 50, but women have to worry about the "ticking clock." There should be processes that support women, without having to create "special exemptions." When you offer longer paid maternity leaves and flexible working hours to everybody, the retention overall is much higher. How to help the workplace be more inclusive? Companies should just be inclusive, overall—men, women, LGBT people, people from different social classes, people from different regions. Keep an eye on your team, and make sure you work hard to interview as many people outside your immediate circle as possible. It's easy to not even realize that you are building a team that’s really homogenous. Expand your circles! For example, I attend events outside of my comfort zone—that’s how I expand my hiring network. If you have a more diverse group of people that have a more diverse set of considerations then that makes the whole process of being an inclusive company much more natural to you.